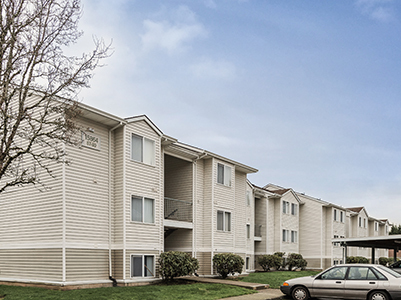 HFO Investment Real Estate (HFO) has sold the 164-unit Oak Hill Apartments in Bethany for $29 million. HFO’s institutional team–which specializes in institutional and major private multifamily investors— located a California buyer for the property. The property had been in escrow for close to 12 months as the seller worked to identify a replacement property for their 1031 exchange. "In the last twelve months, Portland's metro area has added over thirty-one thousand jobs," says HFO's Tyler Johnson. "Most people filling those jobs are coming from out of state and our residential construction is not keeping up with demand. This demand for housing is making Oregon a prime investment target for investors from across the country. Oak Hill is a value-add community with significant upside. Its Bethany location makes it especially desirable due to its proximity to downtown Portland, Nike, Intel, and its reputation for having some of the best schools in the metro area." Oak Hill was sold by its original builder Tokola Properties, Inc. to Affordable Housing Associates of Los Angeles. Built in 1991, Oak Hill’s amenities include a fitness & business center, clubhouse, pool, and covered parking. Units include washer/dryer, air conditioning, and private balconies or patios. The sale represented a price per unit of $176,829 or more than $211.65 per square foot. HFO partners Tyler Johnson, Cody Hagerman, Greg Frick and Rob Marton represented the seller in the transaction.